(APN) ATLANTA — Antonio Brown, a candidate for the Atlanta City Council District 3 position who came in second place, attacked Greg Clay, the third place finisher, for challenging the election results, in an interview with the Neighbor Newspapers. Greg Clay and District 3 voter Mark Anthony Boyd filed the election challenge in Fulton County Superior Court on Wednesday, March 27, 2019. 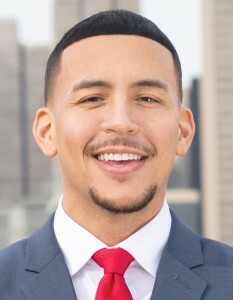 The lawsuit–which seeks to challenge and overturn the March 19, 2019 Special Election Results–claims, first, that Antonio Brown is not qualified to serve on the Atlanta City Council due to unpaid tax liens; and, second, that District 3 voters were misclassified as District 4 voters and wrongly not allowed to participate in the March 19 election. “It is unfortunate that Greg Clay cannot accept the outcome of this election that once again the residents of District 3 have rejected his leadership,” Antonio Brown told the Neighbor Newspapers in an article published Friday, March 29. “I will continue to support any effort to ensure every vote is counted because I am confident that the outcome will remain the same, the people of District 3 do not want Greg Clay to represent them in city council,” Brown said. When reached by Atlanta Progressive News, Clay declined to respond to Brown’s comments. A Run-off Election is scheduled for April 16, 2019. Currently, Amos and Brown are the two candidates to appear on the ballot, based on the certified results from March 19. The complaint includes a copy of the Georgia Department of Revenue tax lien against Antonio Brown for the tax year of 2016. According to the lien, Brown owes $5,690.33 to the State of Georgia. In his qualifying document, which he signed on January 25, 2019, he attested that he was not a defaulter on any federal, state, county, municipal, or school systems taxes. At issue in court will be whether Brown had a documented, satisfactory payment arrangement in place with the Georgia Department of Revenue at the time he qualified to run for office. Clay and Boyd are being represented in court by Lindsay Walker Hillis, who incidentally is the wife of Atlanta City Councilman Dustin Hillis (District 9). The named defendants are the City of Atlanta, Fulton County Board of Registration and Elections, and the other candidates in the race. APN’s News Editor–the present writer–was also a candidate in the race and is a named defendant. On March 28, 2019, Fulton County Superior Court Chief Judge Robert C.I. McBurney transferred the case out of Fulton County, to the Honorable Bonnie Chessher Oliver, Administrative Judge of the adjoining Ninth Judicial Administrative District, in Hall County. The transfer was based on a technicality. On today, Monday, April 01, Judge Oliver transferred the case to Gwinnett County Superior Court Judge Richard Winegarden. The March 19, 2019 Special Election, the certified results–which are now in dispute–are as follows: former Atlanta Public Schools Board of Education Member Byron Amos (359 votes); Antonio Brown (296); Greg Clay (293); Shalise Young, widow of late Councilman Ivory Lee Young, Jr. (165); former Councilman Jabari Simama (152); Mesha Mainor (125); Matthew Charles Cardinale, News Editor of Atlanta Progressive News (72); Erika Estrada (51); and Ricky Brown (18). Atlanta’s political community was stunned by Antonio Brown coming in second place. Brown–an entrepreneur who founded a fashion brand called “LVLXIII”–outraised all other candidates, raising over 75,000 dollars as of the March 04, 2019 disclosure. With this disclosure fifteen days prior to the election, he likely raised and spent more than that by election day. As of March 04, he had donated at least some personal funds to his own campaign. Brown is a political newcomer who says he previously avoided politics due to his beliefs as a Jehovah’s Witness. Now in his mid-thirties, he says the first time he voted was in 2017 for Mayor Keisha Lance Bottoms. The next steps in the lawsuit will be for the parties to be served, for subpoenas to be served, and for an emergency hearing to be set.